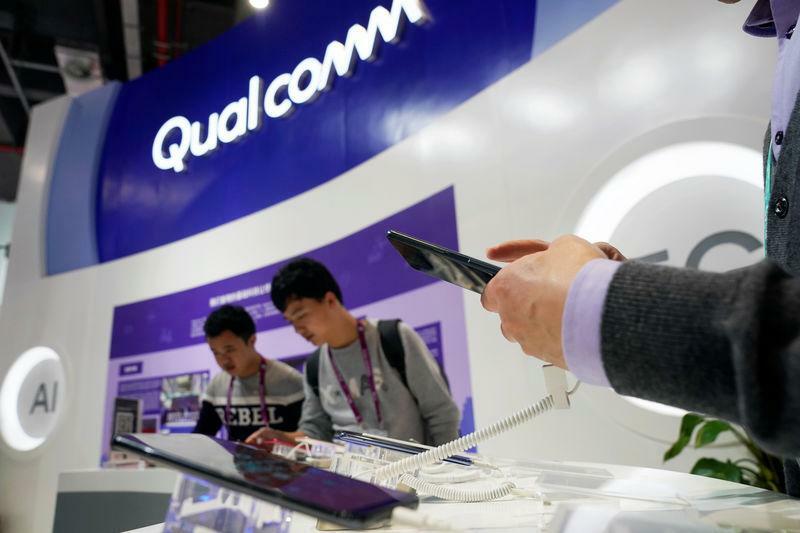 (Reuters) - Qualcomm Inc (QCOM.O) forecast sales revenue for the holiday shopping quarter below analysts' estimates on Wednesday as it took a hit from the loss of chip sales to Apple Inc (AAPL.O), sending its shares down 3.4 percent. For Qualcomm's fiscal first quarter that ends in December, the chip firm forecast revenue of between $4.5 billion and $5.3 billion and adjusted earnings of $1.05 to $1.15 per share. Analysts were expecting revenue of $5.57 billion and earnings of 95 cents per share, according to IBES data from Refinitiv. "Even though we made some changes to the licensing program that allowed customers to effectively have a lower rate, that came back to us in the form of higher (chip) unit sales," Davis said.